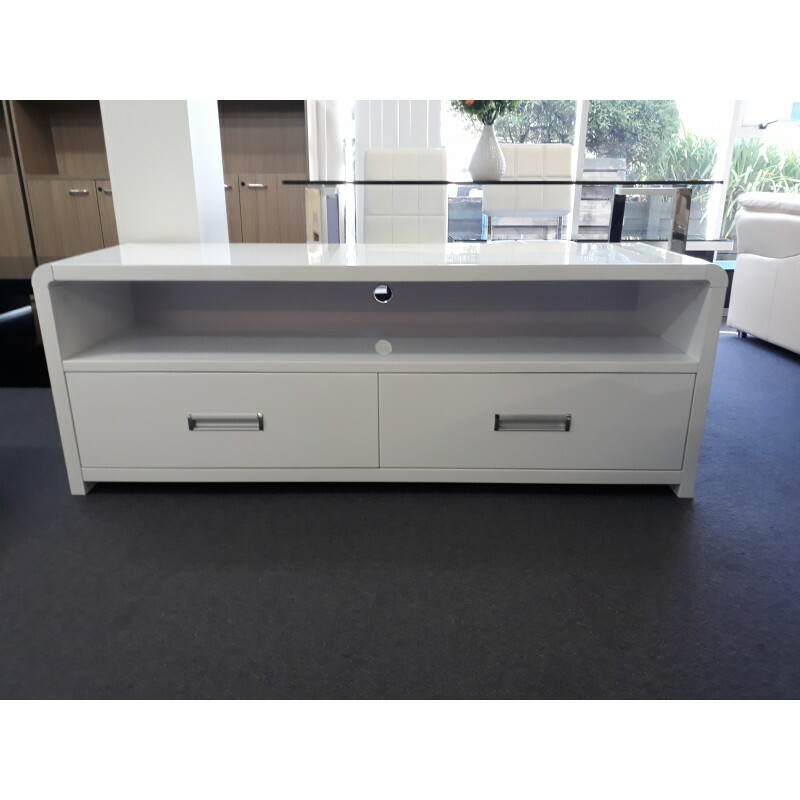 White gloss TV cabinet with 2 drawers . Dimensions： W 150 x D 45 x H 55 cm. Product in flatpacked, Assembly needed.